The angry Left-wing media establishment, wrong about Donald Trump’s electability and hostile to his agenda, has now fully launched its long-awaited campaign of hate and discontent directed at the independent media who not only side with the president’s America-first agenda but which has reliably reported on his campaign and administration all along. The latest casualty is Infowars, a news and information site created by influential conservative talk radio host Alex Jones. 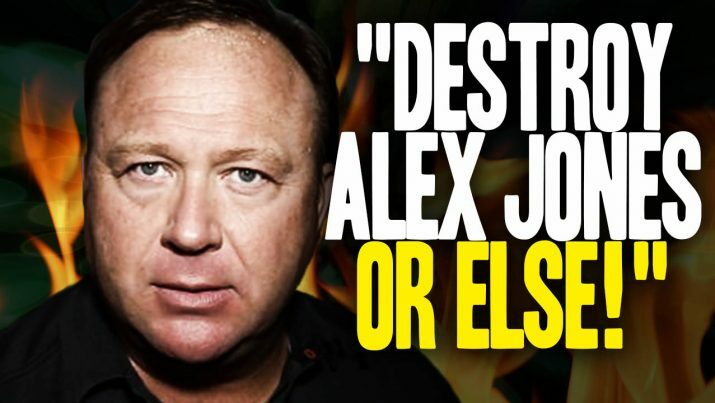 According to Jones, the globalist political and media cabal are going after Infowars’ advertising revenue in an attempt to “starve” the company out of business, financially speaking. Furthermore, all political content should focus on the merits of the candidate, and political messaging should not target special interests or groups, or imply affiliations. In other words, if any story or content contradicts the liberal lies or upsets liberal sensibilities, they will be targeted and denied income – no matter how popular the site and how much traffic it generates (according to the most recent site ranking data from Alexa I reviewed, Infowars.com is ranked #1,678 of all websites globally). Strangely absent from the letter – which added that the matter, as far as AdRoll is concerned, is now closed (“please consider this review final”) – are any actual examples of when or where the site has harmed user privacy. “When all these big corporations get together and create blacklists of who they want to ban, it’s clearly racketeering,” Jones said, adding that the AdRoll will probably try to begin suspending relationships with any publisher it doesn’t agree with politically. They won’t be the only independent news organization targeted, that much is certain. The Alt-Left is vengeful, and it’s just getting started. Expect more targeting in the weeks and months ahead, since that’s just about the only tactic these losers have at their disposal.